If you are an AliExpress veteran you may already know that the platform used to allow their clients to pay via. However, due to the high commissions imposed by Paypal (and maybe because it's a property of Ebay), AliExpress no longer offered this payment system. Recently, however, we have seen a surprising number of sellers begin to accept PayPal again as a method of payment. As of today there is no way to filter sellers based on whether or not they accept PayPal but you have two ways to find them. If I can't pay with PayPal, is it safe to buy on this website? The answer is yes, totally. When you make a payment in AliExpress, the page acts as an intermediary between the seller and the buyer. This system is called “Escrow” and consists of AliExpress retaining your money until you have received the product and given your approval. Only when this requirement is met, AliExpress pays the seller. This applies to any form of payment you use in AliExpress, so you don't have to worry, you can use your card safely. Therefore, you can pay safely with any of the payment methods offered by the site, as everyone uses the Escrow method that protects your money until you confirm that the order has arrived correctly. In addition, at the time of payment, your data is protected by the encryption system VeriSign SSL encryption (the highest level of commercial protection available so far) so it is impossible for your data to reach third parties. What other payment methods can I use to pay on AliExpress? 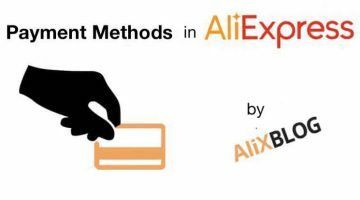 In the definitive guide on how to buy from AliExpress, we explain all payment methods in detail. To summarize, the easiest way to pay for AliExpress is by card (which can be credit or debit). You can also pay by Western Union, AliPay, Webmoney, Qiwi… And if you are still afraid to buy online, there are other payment methods. For example there are banks that offer virtual cards that you can recharge every time you want to make a purchase. AliPay was a solution to the lack of PayPal. It was a “wallet” payment method where we could deposit our money and pay for our orders. However, in early 2017 we found out that AliExpress decided to stop offering this service to its users. Now AliPay only manages web transactions and safely stores your card details (if you choose) so you can buy in a single click. We could say that AliPay has now become the “financial department” of the web. You can find a list of other payment methods and their safety in this article. And if I cancel an order or I don't get what I asked for, will I get my money back? Of course. First, you need to know that if you decide to cancel your order, you can do so within the first 6 hours (approximately) after paying. From there, you can cancel before the seller sends your order, but the seller will have to accept the cancellation, so we recommend you ask him directly before you cancel. And if your order doesn't arrive or what you get isn't what you bought (although it's unusual), you can talk to the seller to inform them, and you'll have to open a dispute to receive your money. Remember that the dispute is the only way we have to make sure AliExpress returns the money to our account. Finally, if you don't reach an agreement by talking to the seller, after a few days of opening the dispute AliExpress will mediate immediately, and propose a solution based on the evidence (and usually favorable to you, unless you do not provide sufficient evidence). Remember that although you clearly see the error in the order, they can only see a few photographs, so try to make the problem very visible. If something went wrong, you find useful information in our Guide on Claims and Buyers Protection. 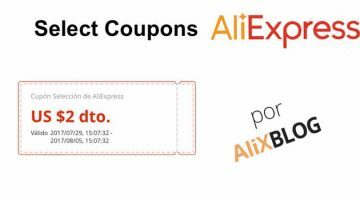 If you choose to pay using PayPal, AliExpress also offers coupons. On your first purchase you will be given a discount of 3 dollars if the purchase exceeds $30. This offer changes over time, so it may be that when you place your order, the minimum purchase to receive the discount is less or more. During this time we've been getting a lot of questions on the blog related to payment methods in AliExpress, so let's take a look at the most frequently asked questions you leave in the blog comments. ¿What currency can I pay in? If you pay by credit card, the purchase amount will be automatically converted into Euros, US Dollars, Pounds Sterling or Russian Rouble. Remember that certain cards may charge a supplement for payment in a foreign currency, so it is best to ask our bank the conditions of the card before making a purchase. Mercadopago and Doku also allow you to pay in Mexican or Indonesian currency, so if you are reading us from one of these two countries, you may be interested in these payment methods. Remember that to change the currency you just have to go the top of the page and select the one that suits you best. If you choose euros, dollars, pounds or rubles, when you pay by card it will be paid in the same currency you chose. How do I know if I can pay with my card? AliExpress supports the following cards: Visa debit and Visa credit, MasterCard credit and Maestro debit. If you don't know what type of card you have, it's best to ask your card issuer, there are thousands of different cards worldwide and we don't know them all. You will also have to ask if your card allows payments through internet. In case you have to receive a refund from AliExpress, the money will be refunded by the same method used when paying. For example, if you paid by card, the money will go to the bank account linked to the card. If you need more information about returns click here. What if my card has expired, how will I receive the money? It's best to contact your bank, but normally it will reach your bank account as usual. You can't change the card number, seeing as the return is made automatically through their system. I bought something and canceled it right away, why have I been charged? The payment is made as soon as we place the order, although sometimes it may be held in our bank. So you will have to wait a few days for the return. The seller is offering to give me my money back through PayPal, can this method be trusted? We advise you not to accept any deal outside of AliExpress, you wont be protected by the site. In addition, the seller may cancel the PayPal transaction depending on how you do it, so it is best to get your money back through the AliExpress system, ie open a dispute. The seller offering the option of paying for the order outside of AliExpress, do I trust them? The answer is the same to the previous question: we don't recommend you to accept any deal off the page, because if you have a problem, you will not be protected by AliExpress. My order hasn't been accepted for safery reasons, what can I do? 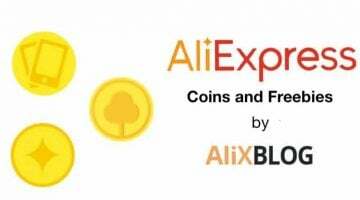 Following your comments we wrote an e-mail to AliExpress asking them to explain this problem to the entire AlixBlog community. In our definitive guide article on how to buy from AliExpress you will find a section where we talk about this. We hope it will help you ;). Even if the seller you're interested in doesn't offer payment through PayPal, you don't have to worry because all of their payment methods are protected by AliExpress, so your money is safe until you confirm that everything has arrived safely. That's why we recommend you always pay through AliExpress and never directly to the seller. Forget it Scam . Why do people pay by western union..Get a visa or mastercard cashcard you can preload. Had same problem just becsuse I decided to use my oen debit card.. not credit you understand. I accessed aliwhatevet by Facebook initially, registered a debit card and started buying…no problem. Then I decided to add anothe. card but deleted. the initial one. Big problems! Customer services eventually said I couldn’t use a debit card unless I copied sensitive documents and sent them.. well im a little fish who wants a product ali group do well and can pay but alipay says no. Nowhere else worldwide are you asked to photographer passports etc for using q debit card that comes straight from an account with bank protection. So we are at impass. Hi..just wondering..i already make payment through aliexpress by using credit card..but the supplier keep asking me that they still dun receive the payment..they do not want deliver the packaging until they receive the payment..you are saying that the procedure which is after we are satisfied with the packaging then you will release the payment right?so how could supplier did not know about this procedure and keep asking me the payment?and is there any notification will given by aliexpress to seller n buyer that the payment already made? I have had several merchants try this. I do not know if they are trying to get paid twice or not but it is suspicious. Add an item to the shopping cart. Go to your shopping cart. Press on “BUY” button. After that you will see product payment and shipping details. Under “Payment method” you should see “Add a new card” link or select other payment method. Hope it will help. If not able to do it in the browser, Log in through the app. Same here: made several attempts to pay with CC over the past 2 months, after even providing requested verification documents by Aliexpress such as ID copies and address proof! Extremely annoying. Service team is friendly but useless, telling me again and again “higher managment is aware of issue but timeframe of resolution is not known”. Bollox – I am canceling my account. What is it worth it if it doesn’t work? I don’t feel respected as a client and there is still ebay and other providers I have used since years working just fine. Yap, I am a disapointed and frustrated client. Me too. It’s saying system error please try again later. I’ve been trying but it’s not working. And there’s nothing wrong with my card. Go to browser setting, clear cache or history. Then log in again to make your order. Or you can order via mobile aliexpress app. I have the exact same issue !! Try three different cards and he new password thing has u going in curlicues – 3 hours to get nothing accomplished ! They just don’t care and all the ID paperwork — no way I am giving that to them – so off to Lazada where I placed the order and pain in 2 minutes !! Alliexpres and Alipay are worthless and they could care less about a customer. ali exsperssten almak istediğim öğeleri paypal ile ödemek istiyorum. bu ali pay kartmı paypal gibimi bu nasıl açıklamısınız. bu ali pay nasıl kullanım şekli paypal kartı gibimi başka hesap şeklimi bu nasıl açıklamısınız. başka türlü kart kullanamadığım içim bir çözüm gösterirminiz yada ali exspress müşteri hizmetleri adresini vermeniz mümkünmü. yanlış kelime yazmışım banka kartlarını kullanmak ıstemiyorum. ben anlatmak İstediğim paypala nakit malın üçretini yatırıyorum öğelerdenalıyorum yanlış istenilmeyen bir öğe olduğu zaman geri iade oluyor benim anlatmak istediğim paypal nakit kart ile sizin ALİPAY paypal gibimi alipay kartı yani nakit türkiyede bulmak mümkünmü anlatmak istediğim alipay nakit kart varmı hesapları takip edecek yada başka bir ödeme yöntemi varmı. iyi bir rehberle sorunum çözülmeli sizin öğeleri avrupa ebaydan alıyorum çok yüksek düşüyor fiat olarak bu konu ile ilğilenirseniz sevirnirim. ben ALİ eksperessle alışveriş etmek istiyorum soruna cevap verilmedi anlaşılamadı sanırım ben paypal nakit alışveriş kartı dışında kart kullanamıyorum sizden talebim paypal nakit kart benzeri Ali exsperssle alışveriş edecek bir nakit ali pay diye bir kart talebim var bu mümkünmü alipay veya benzeri alipay nakit gibi alışveriş öğelerin alımını kolaylaştıracak bir kart ali pay gibi nakit kart gibi hakkında bilği istiyorum nasıl elde edebilirim.yada bunun benzeri nakit bir varmıdır paypal sistemi gibi çalişan sizde paypal nakit kart gibi kullanımı bulunması çok kolay olan bir alipay ismi uyğun nakit kart tabelimdir dilim inğilizce olmadığından bu kadar anlatabildim bunu lütfen dikkate almak yüz adet öğe sepette kalıyor yazıyorum bir türlü alişveriş yapamıyorum. Hey i was wanting to know how can i pay in aliexpress if i only have paypal wallet? Is there any way for me? Good luck with that – once you open the account you will be trying for hours for the thing to accept your credit card and you will change your password a lot – Totally worthless and waster of effort ALiExress and Alipay are really bad as is customer service. Am unable to register ma shipping address. Pls help me!. That is strange… it works for us. Try contacting AliExpress directly as unfortunately we can’t help you too much with their technical problems. If you have more problems leave us another comment and we will contact AliExpress directly to see what the problem can be ;). which in turn settles for half or in favor of the seller. Time and time again the same always the vendor will win , even if he gets half he gets his cost of the goods. So he has nothing to loose. You should consider siding with the buyer. Once i ordered somethign it was fake (dont tell me now you sell no fakes theres still 100s of fakes ther RIGHT NOW) but customs seized it. Then i only get half back? Why am i responsible for it. Your sellers should be penalized more strictly not this half back system. Let buyers use paypal and see how it works out they are trust worthy. I’ve been trying to order stuff for a month now. I’m not sending you a copy of my ID or passport to “Verify” just bring back paypal and add a 3% surcharge ontop. I have always used prepaid visa/mc for online shopping. I don’t own a single normal credit card. I just went to purchase on aliexpress and the card wouldn’t work. Bought another brand of prepaid card and that doesn’t work. After a long, frustrating day I finally find out you can no longer make international purchases with prepaid cards. Is there a way for me to still shop on all express? April 2017, …..and still not solved, that’s how serious Alipay is about their business. Come on, 2+ years later and the same problem still exists ? Kidding right ! How can you buy on aliexpress with PayPal or bank account ? do you ship to the Philippines? how much is the shipping cost? I have been shopping on Aliexpress for more than a year i suppose, most recent order i placed was on Dec 22nd 2015. Today i placed 3 orders and all of them failed to pay !! ; I can no longer pay using my Credit card that i have been using, it prompted me to verify and open an Alipay account; – How could a huge website change the payment options overnight with no notice to users what so ever ? What changed ? Why can we no longer pay via credit card from US. There is no way to contact support via phone, chat is absolutely useless as the agents have no knowledge of what the user is facing and how a sudden change was implemented ! I hope some one at Aliexpress pick’s-up from this forum and responds. ! The firs time that I try to buy something on Aliexpress and what a frustration! I put 5 items on the shopping chart and I haven’t been able to buy. The wbeiste stops working, error messages, it goes to fully in Chinese, saying that I am unable to buy online internationally, no PayPal! Incredible! It doesn’t look serious. Going back to eBay instead. Although the ali-pay system works well, my bank charges me for foreign currency transfers and payments. Is there a way to convert the amount into another currency before carrying out the transaction? Is it possible to change the address after payment on Ali Express possible? Me too, I want to add my card but they always say “oops we failed to save your card due to system reason, please try again later” it’s anoyying because I can’t shop now. Yeah me too. Haven’t been able to add a card. Does anyone have a solution? Tried ordering an item on Aliexpress. Payment did not go through. Have sufficient credit, entered information properly. Created an alipay account. Site stated it’s illegible. 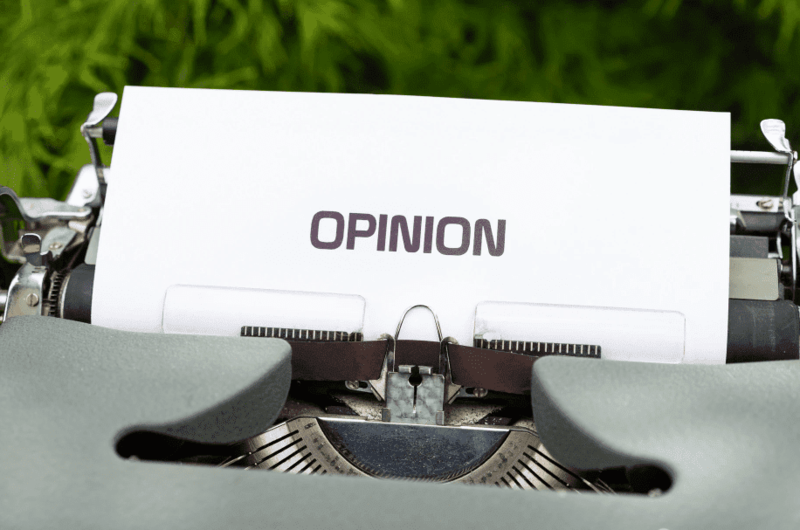 What other payment options are there if credit card payments fail? Hey, I have a question…. I bought a phone from an AliExpress seller but unfortunately I had to return it. I didn’t open a dispute since we have been able to work everything out and they will refund me the money. However, they want to do so to PayPal and since this was a gift I would like to reuse the cash to buy something else through AE… Does AliPay works the same as PayPal in this too? Can the seller refund to my AliPay account so I can use the money to buy in AE? Is it secure to give card no n security code in aliexpress???? hello I just ordered products from aliexpress and paid for them, I then realised that I put the wrong email in and couldn’t change my mistake. it then dawned on me that I hadn’t even an account with ali ? why did It let me purchase without an account ? I’m scared now that if money problems were to occur that I would have no proof or reference as I wont even receive an email as I put in a wrong one. the money went through straight away so id presume my order has been cleared etc. Am I secured when using this site ? Hi Vaishu, as far as we are aware you can’t pay cash on delivery. However there are other payment systems you can use if you don’t want to use a credit card. Western Union for example ). What will happen if I make the payment 3 dayes ago and the seller didn’t make the shipment yet. What can I do if he didn’t sent my order. I would not recommend you paying that extra 12$ since it is not very clear why you have to pay them. If the seller don’t send the order, you will receive a refund automatically. 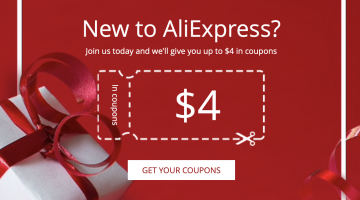 too bad… I would have shopped at Ali Express if it accepts Paypal. Secure. Safety. Protecting. = whese are all empty words and in contrast to shooting students on Tiananmen Square. 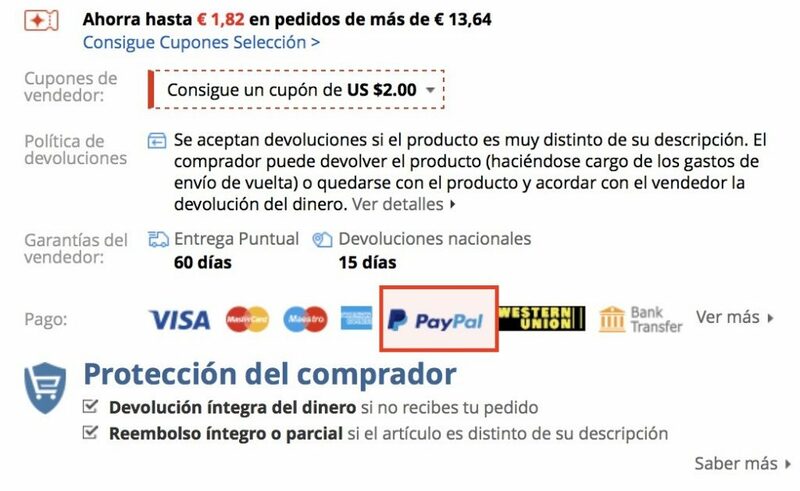 can you explain step by step how to pay through paypal in aliexpress? Aliexpress is a place where the words”never again” must be applied as a must. Impossible to communicate with the site administrators, sellers behave like the worst cheaters, after they get your money their door is shut, and they leave you on your own, feeling like a stupid who believed that this could had worked. One name: Ian Zhang, selling faitìring kits for Honda, watch out for him. Can AliExpress disclose buyer information to a Bank concerning master card scam,fraud? Paypal will be a very good payment method to be used on aliexpress. I do hope it will ve implemented back. I’ve been charged by my bank.for using foreign currency. It says I was charged gbp but they have told me all transactions are done in us dollars. I have 5000 rupees in my account (master card) but after inputing my details and otp and all, i am ordering a product eorth 2000 rupees but its saying insufficient amount!! I put in my card and it said it can not accept the card I put in my information again and it cleared my shopping cart. At orders they are all their and say under “pay now” is that right? You urge to get into a agreement with paypal. The higher commision is offset with bastly higher demand which in the long run would lead you to higher profits. Every time I try to save my card, this pops up: “Oops, we failed to save your card due to system reason. Please try again later.” What can I do? what does you do now ? is the problem been fixed ? U know guys! It’s the most wrong step Aliexpress made to stop dealing with Paypal. For example, alot of people don’t use or have a Credit Cards and I’m one of them. My Paypal account is connected to my Bank account directly without any kind of cards. So i have no other methods to pay online. My friend works in a bank in Germany and he told me most of people use the same method i use with Paypal. So Aliexpress is loosing alot of customers. I alaways order from Gearbest. Bad Customer Service, High Prices compared to Aliexpress but i have to other choice. It was Gearbest’s lucky day when Aliexpress stopped Paypal. And they raised their Prices. If anyone have a solution to use Paypal with Aliexpress through another website or service, please inform us ASAP. As I got stung with 2 extra charges from my bank for using you service I think I will pass. Use paypal or forget it. How Can I Pay Am In Nigeria Havin A Problem With Goods Higher Than $100 how can pay for them? I mean directly in our bank account or alipocket or????? Because there doesn’t seem to be any option as to where we want the refund money to be put into. I find my self contacting the sellers and paying them directly …. this is the ONLY way I can pay in aliexpress other payment methods fails on the spot or fail later. someone have an answer for this? if I use credit card how do I get refunded if needed? I am from the UK do you accept stripe or VISA DEBIT cards from the uk. Thanks for the info. for to enter my email, so I’m asking again… anyone know? now i can’t pay with webmoney like before. looks like aliexpress no longer accepts webmoney. I have been purchasing items with my credit card for months now flawlessly , then out of no where i can no longer make a purchase until i provide them with a copy of my drivers license and other personal documents. Whats up with that? Problem is, I do not have a “credit card”. I simply do not need it very often and prefer methods like “sofort überweisung” or “direct pay” offered by my institute. For everything else paypal is fine. A “credit card” simply is too expensive when using twice a year. If the service really should replace paypal there needs to be a way to transfer money in advance (using direct pay) or at least payment made by direct debit. Did not find neither.